Outsider Little Rascal ($33.60) ran a career best time of 1:51.8 seconds to win the first Group race of the new season at Tabcorp @ Club Menangle on Saturday. Trained by Craig Cross and driven by Luke McCarthy, the six-year-old gelding caused a boil over to relegate the $1.70 favourite My Field Marshall into second place during the track’s first meeting this season. Winning the feature race, the Group Three, C91.3Fm Pace event, delivered Little Rascal his first Group victory. Darren McCall’s Bettor Bet Black took an early lead and set a fast pace of 26.7 seconds in the first quarter. Entering the home straight My Field Marshall took the lead from the tiring Bettor Bet Black, but Little Rascal battled on gamely in the final 50 metres to win by a half-head margin. Another notable winner was Leon Jurd’s Burra Sullivan ($10.70). With David Morris in the gig, Burra Sullivan led from start to finish for an easy victory. The eight-year-old gelding ran the fastest time (1:50.9s) of the meeting, finishing more than 6m ahead of runner-up Chumlee. The 103-race veteran was in unfamiliar territory greeting the judge, having failed to win in his 23 previous starts. Meantime, the KerryAnn Turner and Robbie Morris bandwagon rolled on, bagging two winners at the meeting. 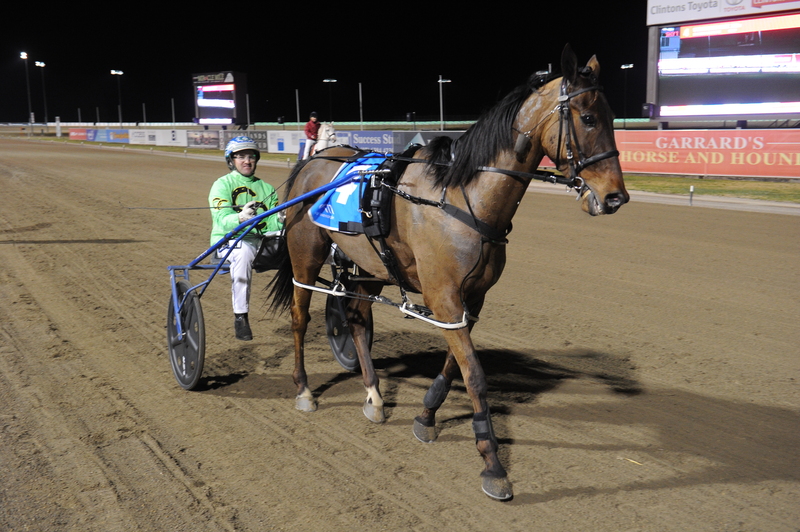 The dynamic duo’s trainer/driver successful partnership continued with last start Menangle winner Celestial Arden ($7.10) earning them the first leg of their double. The five-year-old gelding’s victory over 2300m, by a half-neck margin, was his eighth win from 38 starts. The second leg of the double, also over 2300m, came with Fioki ($6.50) in the race named after the trainer – the KerryAnn Turner Provincial Trainer of The Year Pace event. Fioki, a six-year-old gelding, settled in a midfield position until making his move on the final turn. The widest runner entering the home straight, Fioki hit the lead at the 150m mark and held off the fast finishing Spike Bromac to win by almost two metres.